At Seshat, infrastructure is one of the nine dimensions we use to measure social complexity. Nine additional variables are used to measure the various components that collectively make up a polity’s infrastructure. One of these variables is canals. 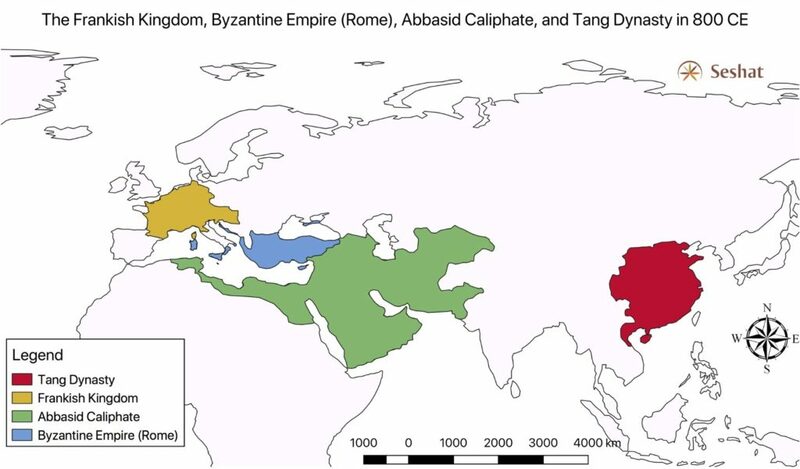 In his introduction to A global view on Long Late Antiquity, 300-800 AD, Byzantine historian and Seshat expert-contributor Johannes Preiser-Kapeller (Austrian Academy of Sciences, Vienna) begins his work by comparing the construction of canals in Middle Franconia, the Byzantine Empire, the Abbasid Caliphate, and Tang Dynasty Chang’an in the eighth century CE. The “canal” variable for the Abbasid Dynasty published in the Seshat: Global History Databank. As Preiser-Kapeller notes, Charles of the Franks and Lombard (soon to be Charlemagne, the Holy Roman Emperor) failed to construct a canal in the same period when complex canal systems were being built by his Imperial peers. Preiser-Kapeller notes, “The comparative view on these four construction projects in four (at least in their claims) world empires of the eighth century illustrates the differences in the scale of resources that a King of the Franks could mobilize, even when he called himself ‘Emperor of the Romans’ a few years later, in comparison with the Caliph of the Abbasids or the Emperor of the Tang, who at that time ruled the largest empires of Afro-Eurasia.” The example of canal construction stands as a representation of the complexity of non-Roman, non-Western civilizations in Late Antiquity. The four empires mentioned in Prieser-Kappeller’s introduction chapter, plotted in QGIS3 by Jill Levine, adapted from World History Maps by Thomas Lesson. Inspired in part by Michael McCormick’s Origins of the European Economy (2001), Preiser-Kapeller’s work looks beyond conventional histories of Rome and Charlemagne to give six “global historical sketches” that demonstrate connections between polities across Afro-Eurasia in Late Antiquity. 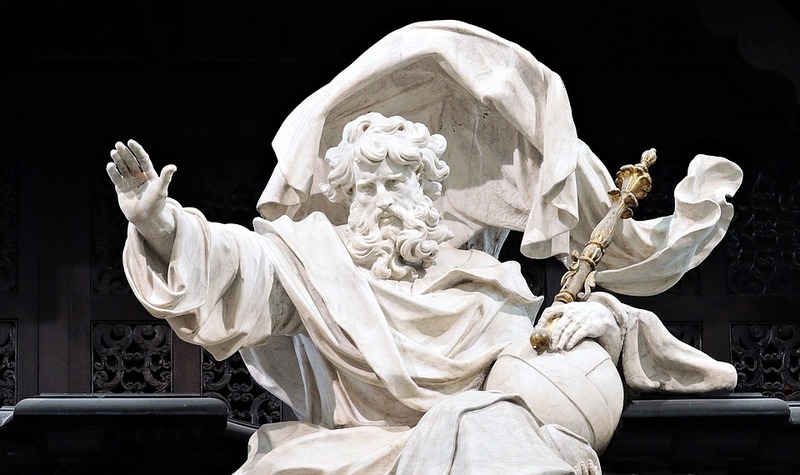 These connections include themes linking empires across the globe like climatic change, plagues, and the spread of religion. Preiser-Kapeller here offers a sort of ‘Cliodynamic corrective’ to older Euro-centric views stressing isolation, backwardness, and decline as typical of Medieval society. Preiser-Kapeller’s brand of comparative history, conversely, shows how interconnected and intertwined the fates of some of these key imperial formations were, and just how artificial scholarly terms like ‘Late Antiquity’, ‘Byzantine’, and ‘Medieval’ truly are. 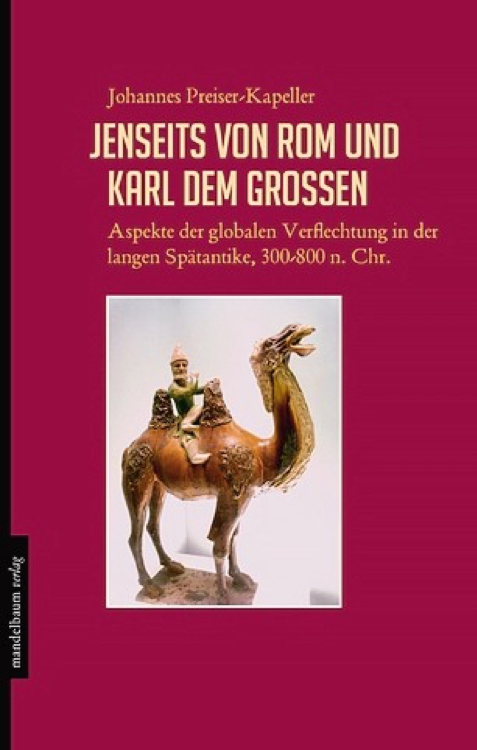 A global view on Long Late Antiquity is currently available in German. There are plans for an English translation in the near future. The book’s introduction chapter has been translated into English and is available on Academia.edu. An interactive Google Map of all sites mentioned in the book is available here.